The Vatican Museums originated as a group of sculptures collected by Pope Julius II (1503-1513) and placed in what today is the Cortile Ottagono within the museum complex. The popes were among the first sovereigns who opened the art collections of their palaces to the public thus promoting knowledge of art history and culture. 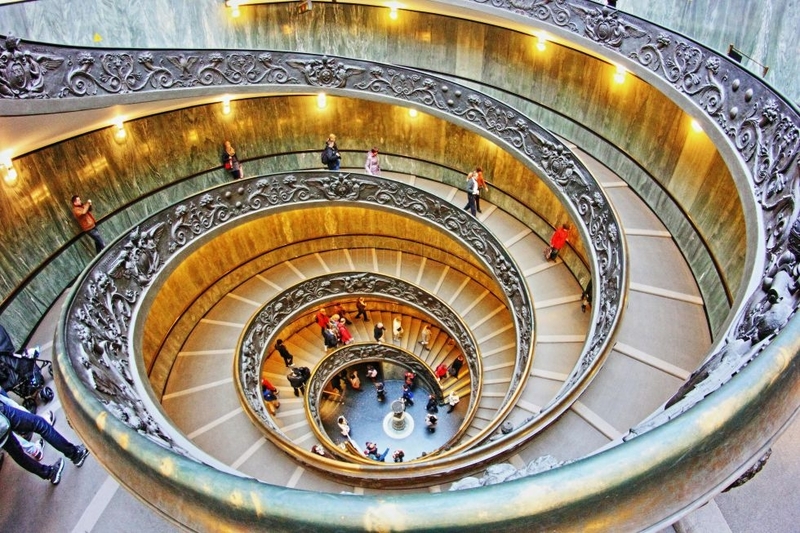 As seen today, the Vatican Museums are a complex of different pontifical museums and galleries that began under the patronage of the popes Clement XIV (1769-1774) and Pius VI (1775-1799). In fact, the Pio-Clementine Museum was named after these two popes, who set up this first major curatorial section. Later, Pius VII (1800-1823) considerably expanded the collections of Classical Antiquities, to which he added the Chiaromonti Museum and the Braccio Nuovo gallery. He also enriched the Epigraphic Collection, which was conserved in the Lapidary Gallery. Gregory XVI (1831-1846) founded the Etruscan Museum (1837) with archaeological finds discovered during excavations carried out from 1828 onwards in southern Etruria. Later, he established the Egyptian Museum (1839), which houses ancient artifacts from explorations in Egypt, together with other pieces already conserved in the Vatican and in the Museo Capitolino, and the Lateran Profane Museum (1844), with statues, bas-relief sculptures and mosaics of the Roman era, which could not be adequately placed in the Vatican Palace. The Lateran Profane Museum was expanded in 1854 under Pius IX (1846-1878) with the addition of the Pio Christian Museum. This museum is comprised of ancient sculptures (especially sarcophagi) and inscriptions with ancient Christian content. In 1910, under the pontificate of Saint Pius X (1903-1914), the Hebrew Lapidary was established. This section of the museum contains 137 inscriptions from ancient Hebrew cemeteries in Rome mostly from via Portuense and donated by the Marquisate Pellegrini-Quarantotti. These last collections (Gregorian Profane Museum, Pio Christian Museum and the Hebrew Lapidary) were transferred, under the pontificate of Pope John XXIII (1958-1963), from the Lateran Palace to their present building within the Vatican and inaugurated in 1970. The Museums also include the Gallery of Tapestries, a collection of various 15th and 17th century tapestries; the Gallery of Maps, decorated under the pontificate of Gregory XIII (1572-1585) and restored by Urban VIII (1623-1644); the Sobieski Room and the Room of the Immaculate Conception; the Raphael Stanze and the Loggia, which were decorated by order of Julius II and Leo X (1513-1521); the Chapel of Nicholas V (1447-1455), painted by Fra Angelico; the Sistine Chapel, which takes the name of its founder, Pope Sixtus IV; the Borgia Apartment, where Pope Alexander VI lived until his death (1492-1503); theVatican Pinacoteca, created under Pius XI (1922-1932) in a special building near the new entrance to the Museums; the Missionary Ethnological Museum which was founded by Pius XI in 1926, arranged on the upper floors of the Lateran Palace and later transferred, under Pope John XXIII, to the Vatican where it has been opened again to the public in the same building which housed the former Lateran collections. In 1973 the Collection of Modern and Contemporary Religious Art was added and inaugurated by Pope Paul VI (1963-1978) in the Borgia Apartment. 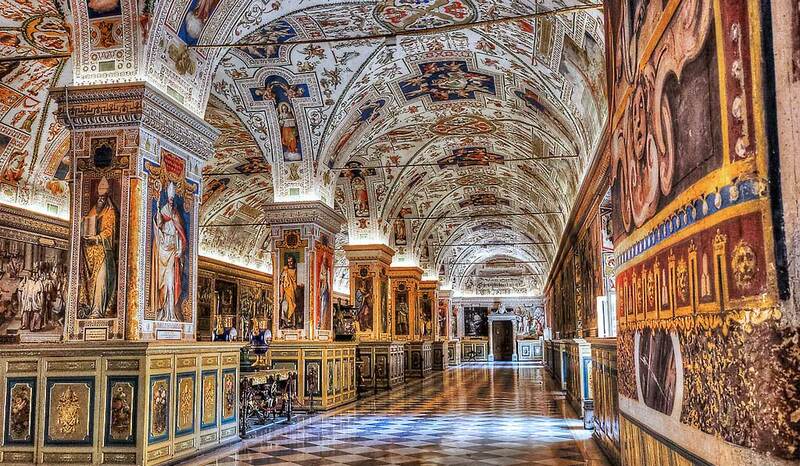 The Vatican Historical Museum, founded in 1973 and transferred in 1987 to the Papal Apartment in the Lateran Palace, houses a series of papal portraits along with objects of the past Pontifical Military Corps and of the Pontifical Chapel and Family and historic ceremonial objects no longer in use. The Carriage and Automobile Museum is a section of the Vatican Historical Museum. In the year 2000, the Vatican Museums opened a new large entrance that provides visitor information and other services; on display are many new artworks, two of which were specially created for this grand entrance hall. augment or even I success you get entry to persistently rapidly.